Venom is an iconic villain of the Spider-Man universe; first appearing in the comics in 1984, he’s a sentient alien symbiote who must bond with a ‘host’ to survive. We first saw a live-action imagining of Eddie Brock and Venom in the 2007 Spider-Man 3 in the form of Topher Grace. It wasn’t terrible – it was certainly of its time – but Venom himself didn’t quite have the horrifying impact he deserved. Ruben Fleischer’s 2018 offering has a clunky beginning – a spaceship carrying four living organism samples from another planet crashes somewhere in Malaysia. One organism is not retrieved from the wreckage, and continues to body-hop from host to host until it reaches the US. The samples were being retrieved for one Carlton Drake (Riz Ahmed), a filthy rich scientist who believes humans must combine with symbiote and live anywhere but earth to truly thrive. He states that humans are “so poorly designed.” Ahmed is brilliant; he’s slimy and conniving yet completely charismatic. You might say he carries the traits of cult leaders, telling his volunteer test subjects “I believe in you,” and “we’re making history.” But sadly, Venom’s three historically fantastic leads all drew the short straw with a baffling and laughable script that completely lets them down. Eddie Brock’s’ fiancé, Anne Weying (Michelle Williams), is set up as a hot-shot lawyer who tackles huge clients such as Carlton Drake and his Life Foundation. Yet within 15 minutes, she’s completely unimportant. She rocks up again when Venom uses her as a host, for just a brief moment, to make out with Eddie; and yes, that actually happened. Tom Hardy’s Eddie Brock starts promisingly: an investigative journalist, he interviews Carlton and cannot help but question him about the shady goings on at the Life Foundation. After being shown the door by security, he later breaks in to photograph and expose the unethical practices there, and that’s where he meets his best friend Venom. 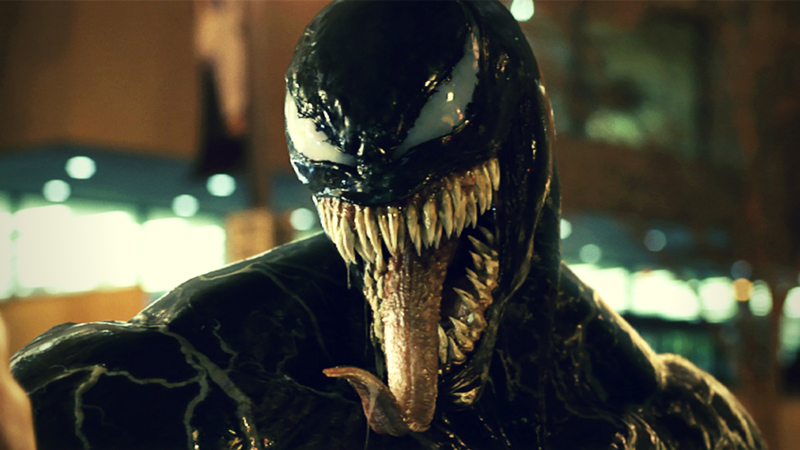 Venom has some genuinely great action sequences and the character design stays wonderfully true to the comics, but an irredeemable, disjointed script and unsure characterisation leaves too much hero and not enough villain.